Wrestling can help you to get a total-body workout. Thus, you should try your hand at it, as it can also help you to cut down those excess kilos. Wrestling can help you to stay fit. Image Source: Instagram/ @ GeetaPhogat. 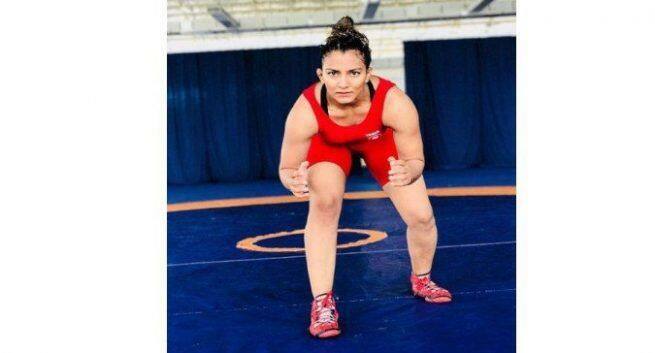 Famous wrestlers like Geeta Phogat, Sakshi Malik, Sushil Kumar, Vinesh Phogat and many more, have made India proud owing to their achievements. Wrestling, which is one of the oldest sport in India, can help you to build strength and muscles and will also improve your mental well-being. Also, you will have to follow a nutritious diet, if you are a wrestler. This way, you will be able to stay in top shape. Here, we unearth the incredible health benefits of this amazing sport. The more you wrestle, the more you will be able to develop your both functional strength and cardiovascular endurance. Along with wrestling, to increase your stamina, you will also have to do other things like run and weight train and so on. Because wrestling employs all of the major muscle groups in the body, your heart will have to pump blood to all these muscles at a faster rate. You will also be able to increase your lung capacity and stay healthy and hearty due to it. It is a high-intensity sport and can help you to build a stronger core and body. While wrestling, your entire body will be in action. Due to those pushing and pulling motions, when you are in a squatted position, your legs will get a good workout. You will have to engage your core and also can improve your flexibility when fighting off an opponent’s takedown and turn attempts. So, this can be beneficial for you and can help you to achieve good fitness levels. You will learn to beat your odds and tackle those obstacles if you go for this fantastic sport. You can become self-reliance, self-confidence and self-discipline, along with becoming alert and focused. You will also be able to increase your concentration. If you wish to shed those excess kilos and get back into shape, then you are at the right place. Try wrestling! This wonderful sport can help you to shed those excess kilos and enhance your physique.